The term “series” applies loosely, as each book stands alone. 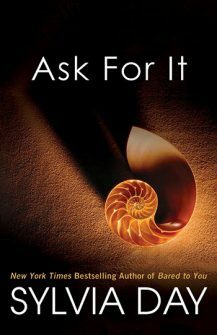 In chronological order: Ask For It is the story of Marcus and Elizabeth. Christopher St. John plays a prominent role in their tale and his story is told in Passion for the Game, where you’ll meet Amelia and Colin. Their story is told in A Passion For Him. Simon Quinn appears in both Passion for the Game and A Passion For Him. His story is told in Don’t Tempt Me.